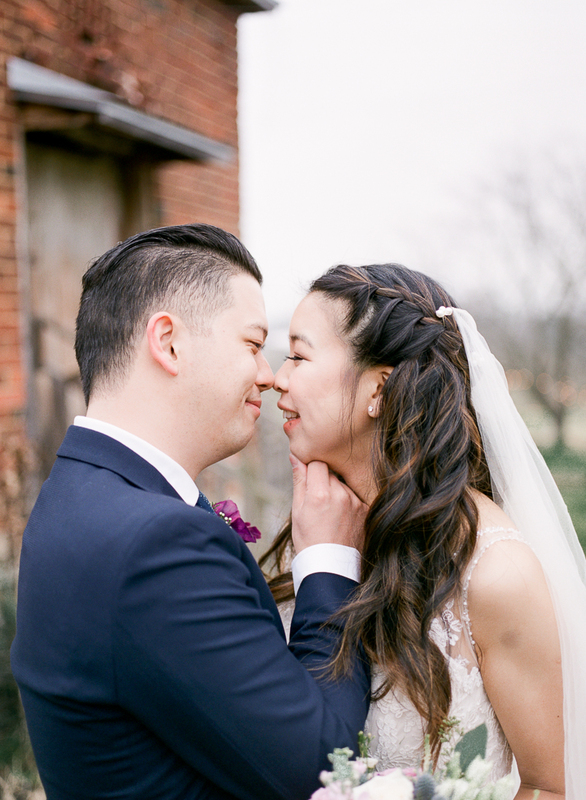 Last wedding of the season – it couldn’t have been any more perfect way to close up 2018! 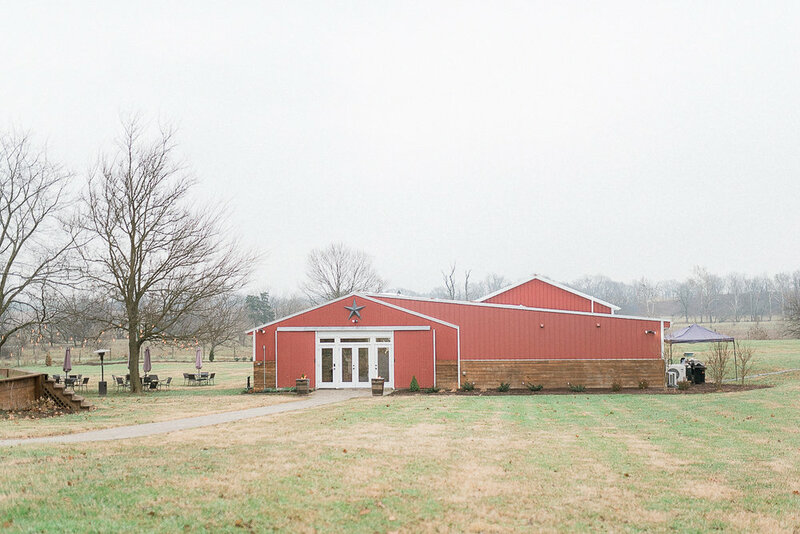 Michelle and Wayne’s wedding at Stover Hall was nothing short of love, fun, and celebration! 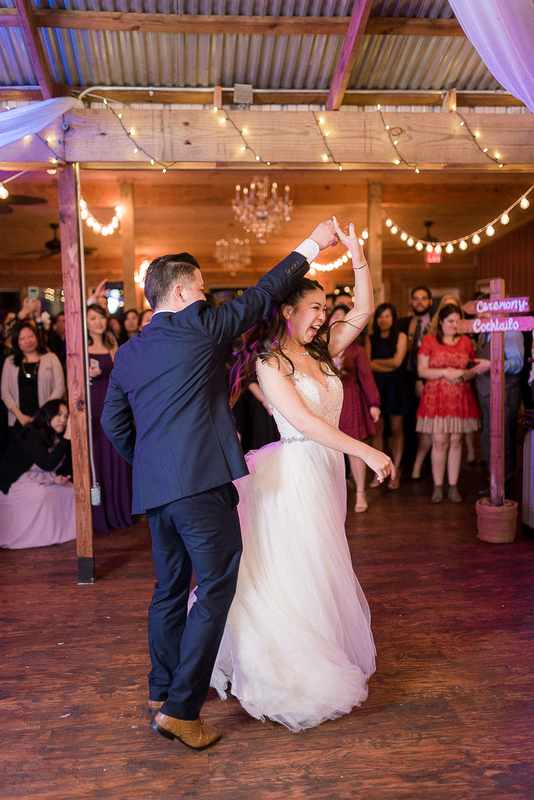 In fact, though I was only there on their wedding day, the celebration actually lasted the whole weekend, where the couple hosted not only the rehearsal dinner but also the Sunday brunch for their family and friends who traveled far to be there to celebrate with them! 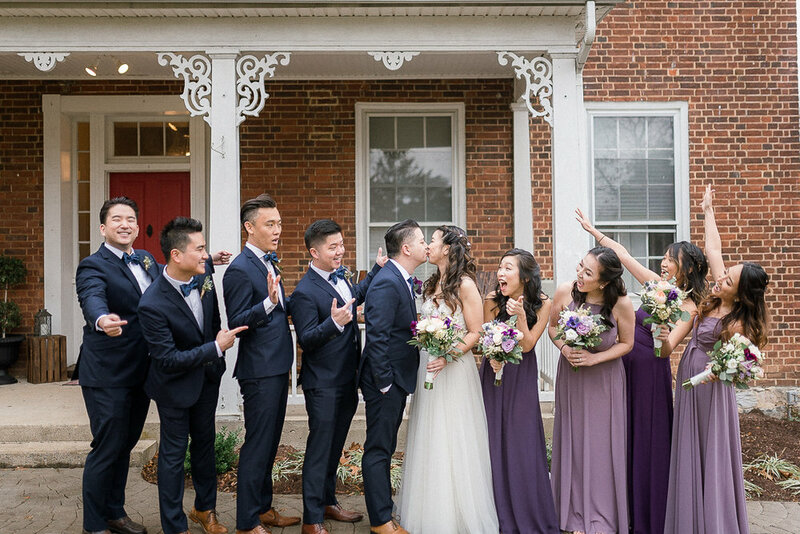 Their wedding day began with getting ready with their wedding party. The girls all wore the plaid shirts gifted by Michelle, while the guys were hanging out in their cabin. 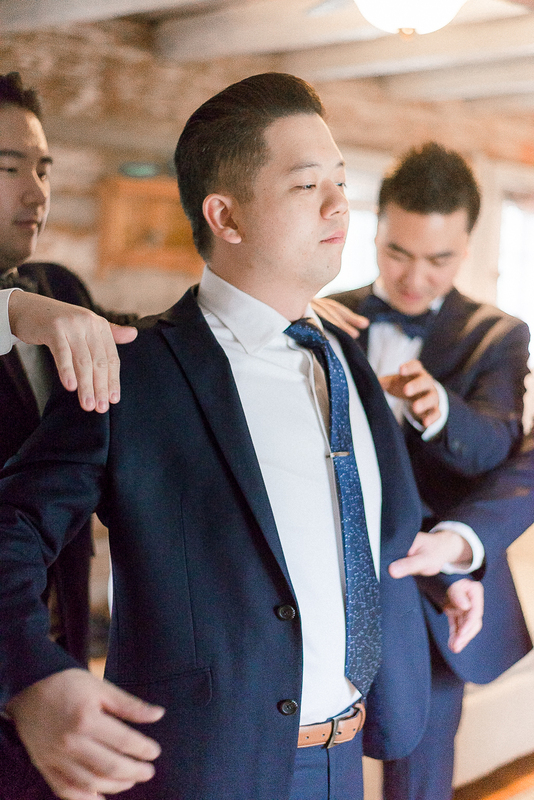 The groomsmen did their best helping Wayne to get ready, even putting the tie clip on! 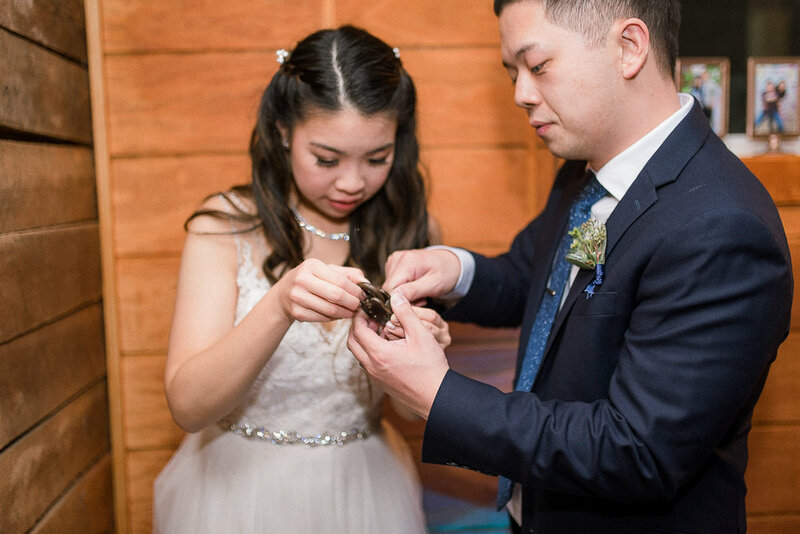 Meanwhile, the bridesmaids were busy helping to prepare for the Chinese Tea Ceremony. 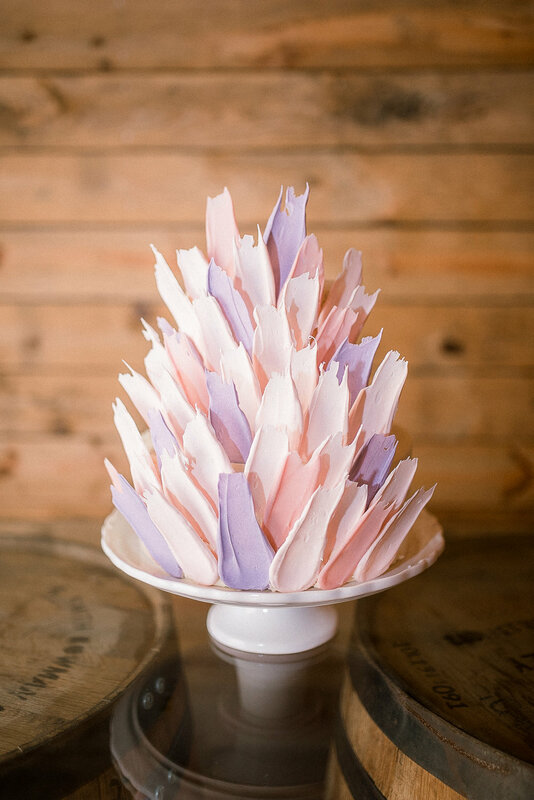 The Chinese Tea Ceremony is a tradition to honor the parents and elders of both the bride’s and groom’s family. The bride and groom would offer tea to parents and elders, and they would then give them blessings, as well as red pockets to the couple and gold jewelries for the bride. 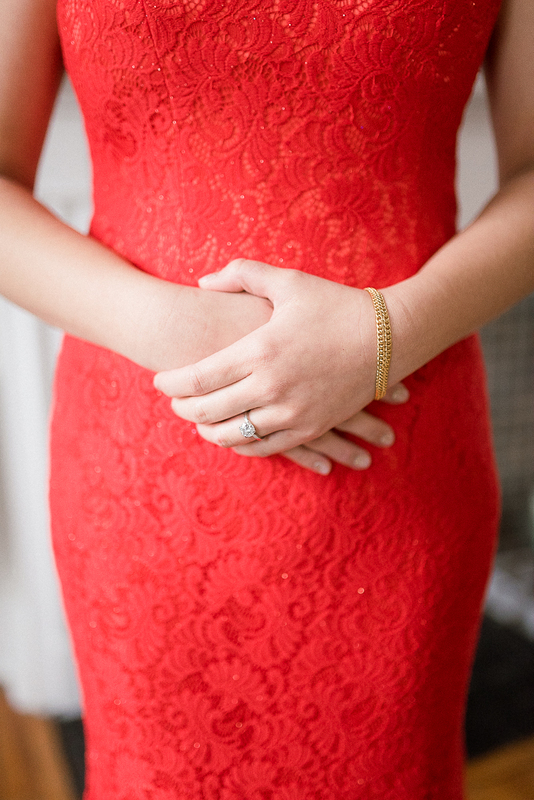 Brides usually wear a red dress (whether it be Cheongsam or Qipao), as red is the lucky colors in Chinese culture. 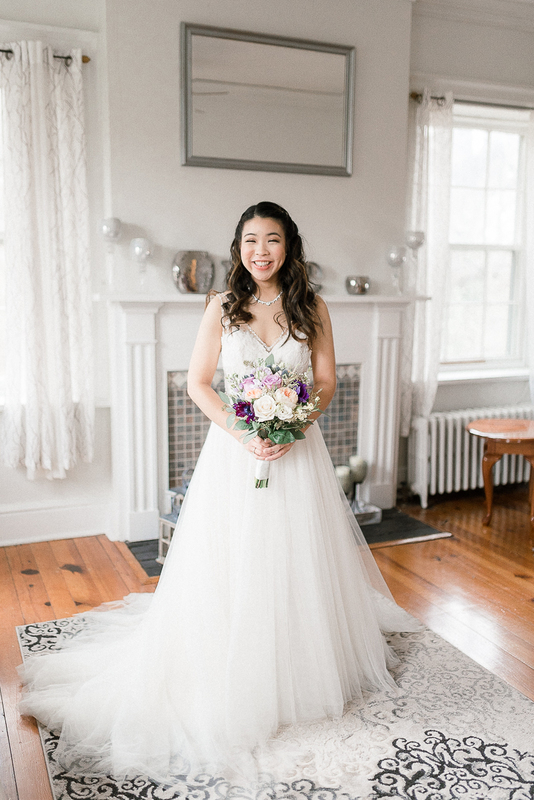 After the Tea Ceremony, Michelle put on her beautifully adorned wedding gown by BHLDN and went to the front of the house for the first look with Wayne. And in the #Michayne fashion, Wayne was pretending to be tearing up, even though deep down he was very nervous about the wedding day. You could tell as soon as that part is over, it’s all about fun with their wedding party. 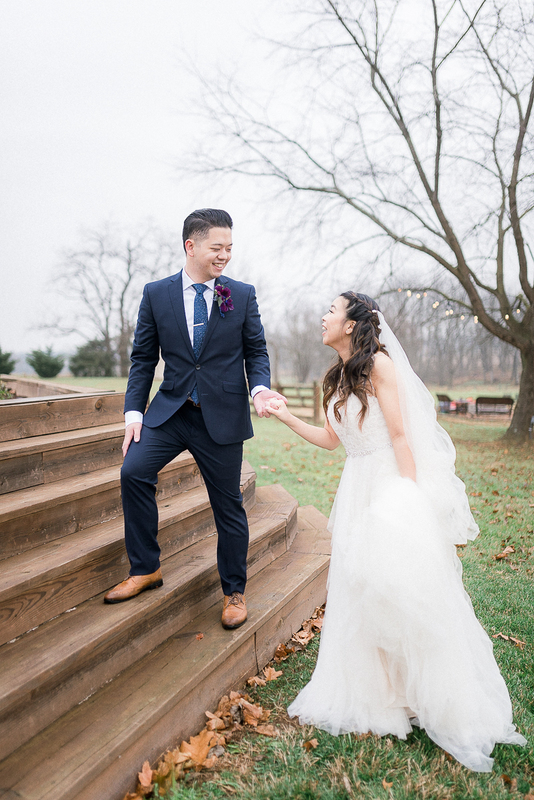 Though the temperature were in the low 40’s, everyone was in good spirit and absolutely excited for Michelle and Wayne to tie the knot! 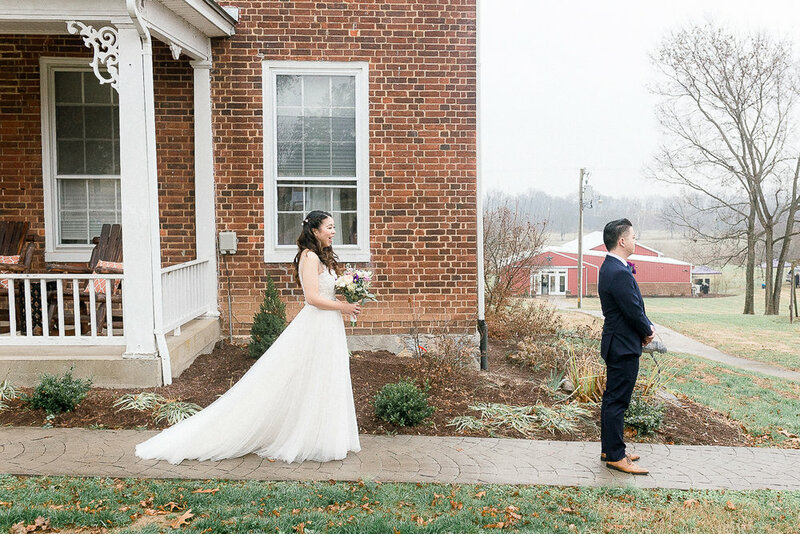 We took some time to stroll around the property with just Michelle and Wayne, and boy do we wish it was a bit warmer for us to walk around more. 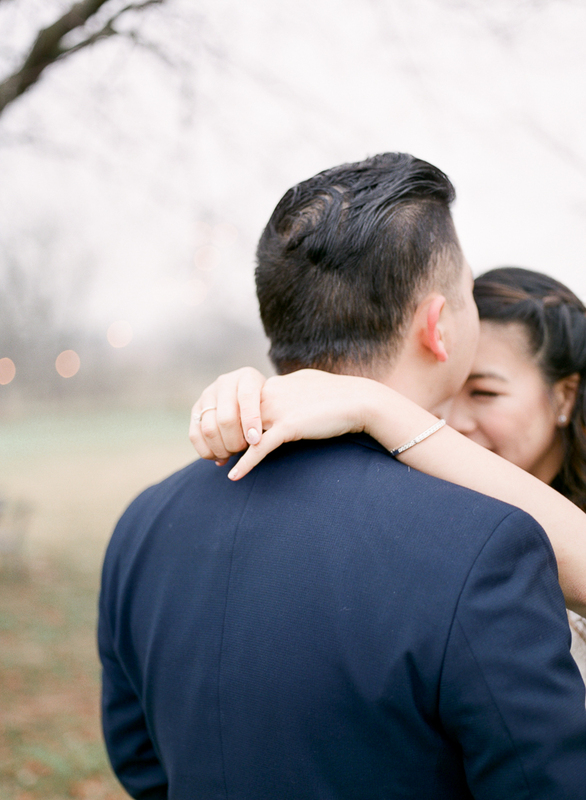 Nonetheless, the nearly-weds embraced each other to keep warm and were giggling the whole time! 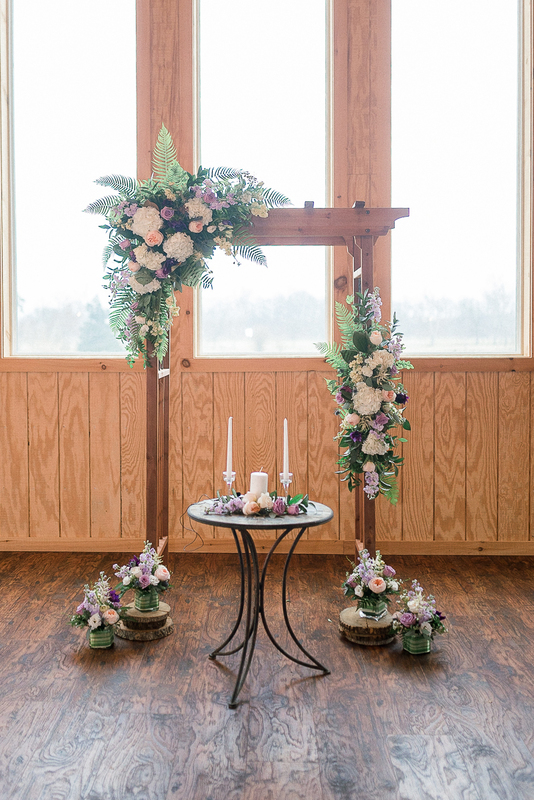 The ceremony was held inside the main hall and decorated with simple floral arrangement by Vivian’s Flowers. 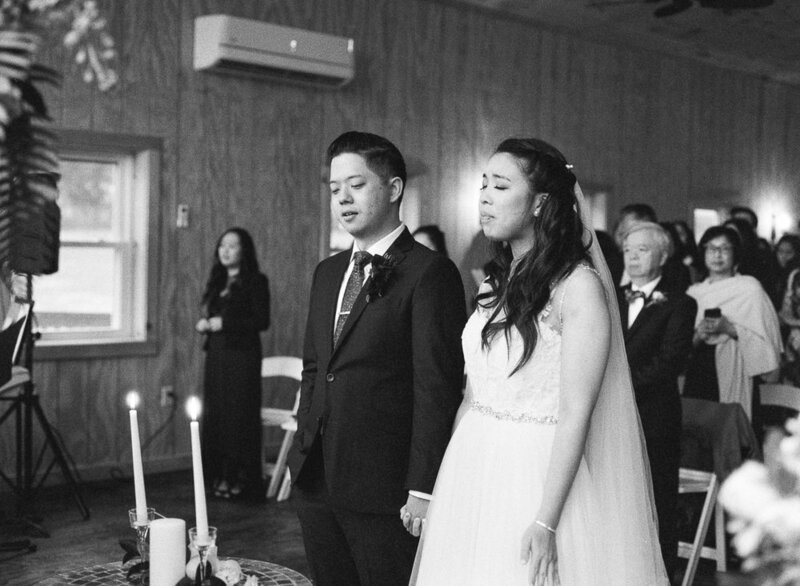 It was short and sweet, emphasizing their gratefulness for God for His grace and faithfulness, and their family, who has witnessed their growth as an individual and as a couple for the past 10 years. 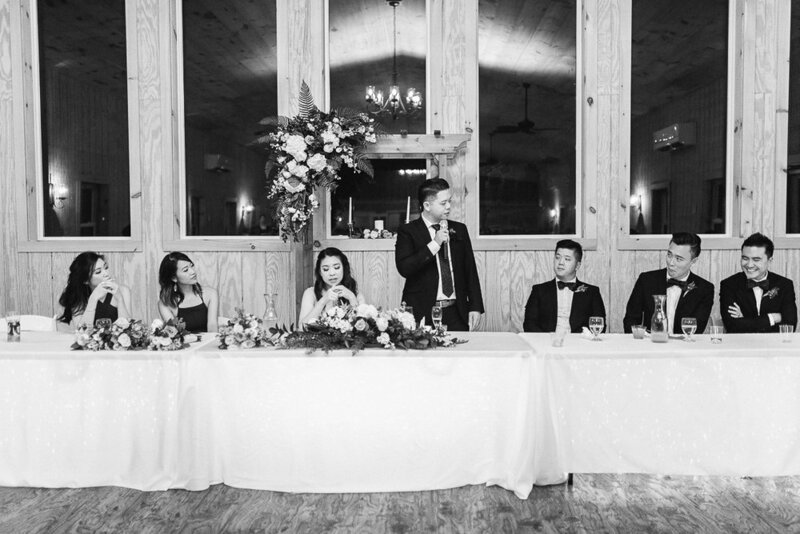 Yet, the ceremony also was filled with laughter as their pastor shared many funny moments during his message for the couple. Wayne even fist-bumped Michelle’s dad when he was about to take Michelle’s hand! Inspired by the proposal pulled off by Wayne (and Michelle herself! 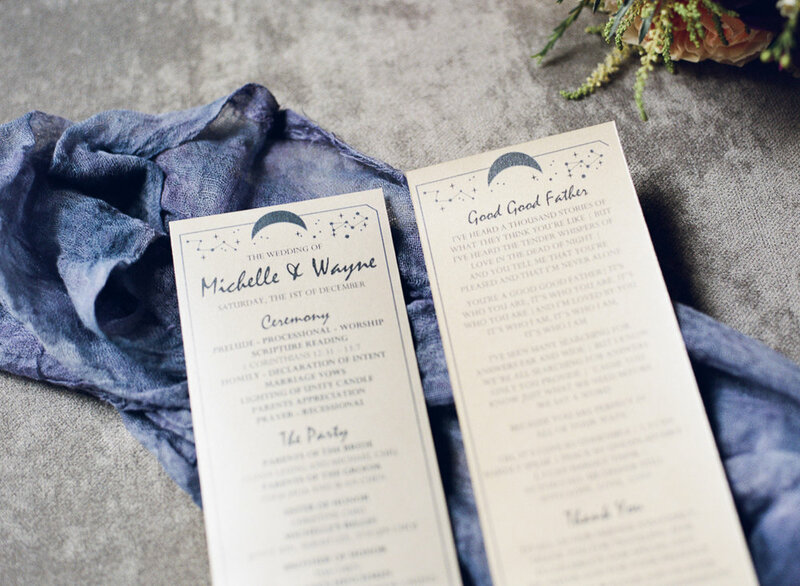 ), the cocktail hour space and the reception hall were filled with astronomical details that Michelle had put together. 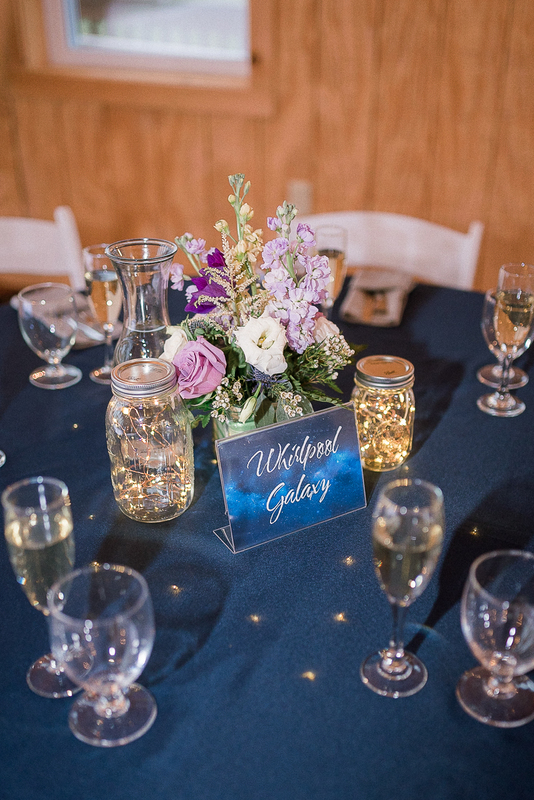 Between the seating chart, starlights in a jar, starlights within the table, astronomically inspired table name, meteor-looking wedding cake (which, by the way, was made by Michelle and her sister! 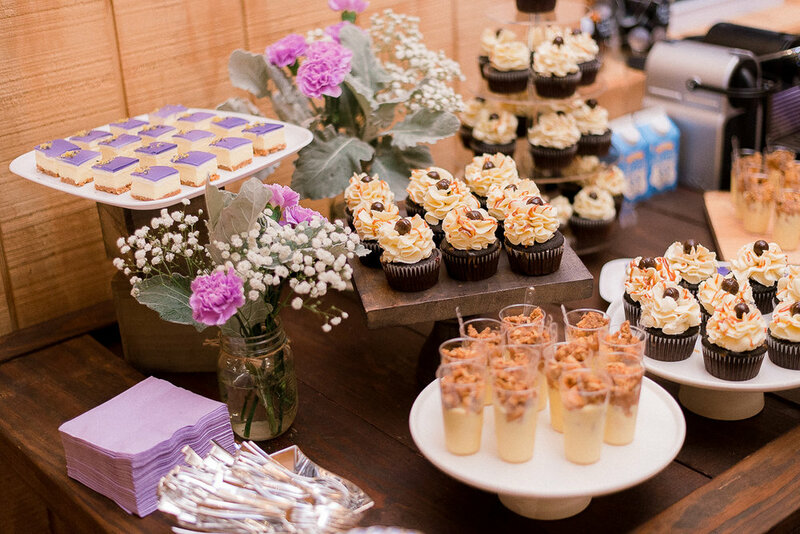 ), everything was planned and coordinated meticulously by Sweetvenia and Michelle herself! 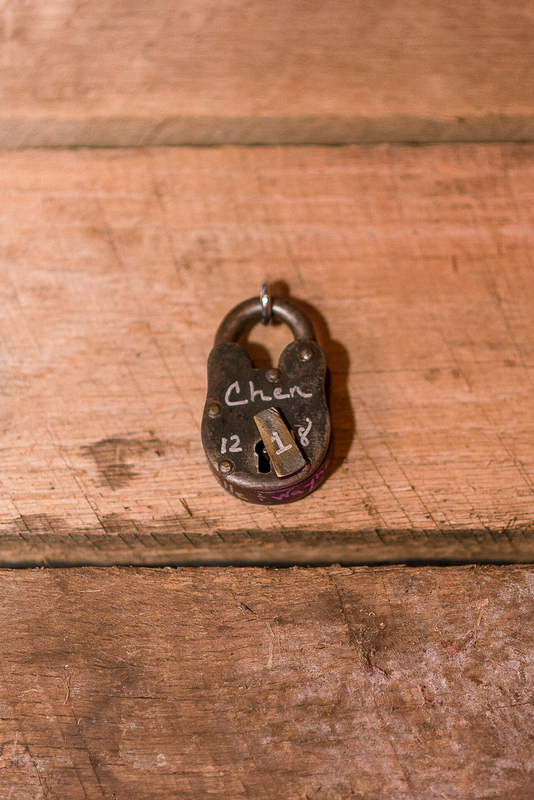 As per the tradition of Stover Hall, the couple put a lock with their last name and wedding date onto the wall inside the main hall, symbolizing their union and wedding day. 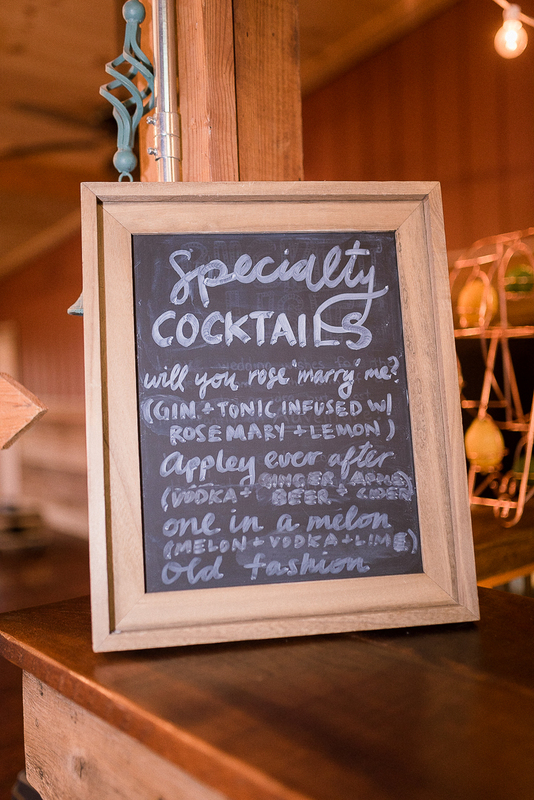 Finally, besides dancing with cups of cheers bartended by the couple’s friends, what’s better way to end than a sparklers sendoff? 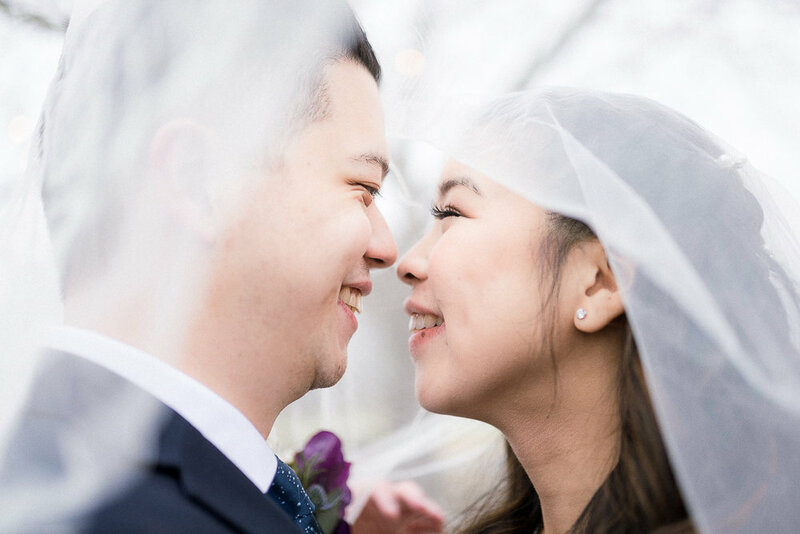 Congratulations, Michelle and Wayne! 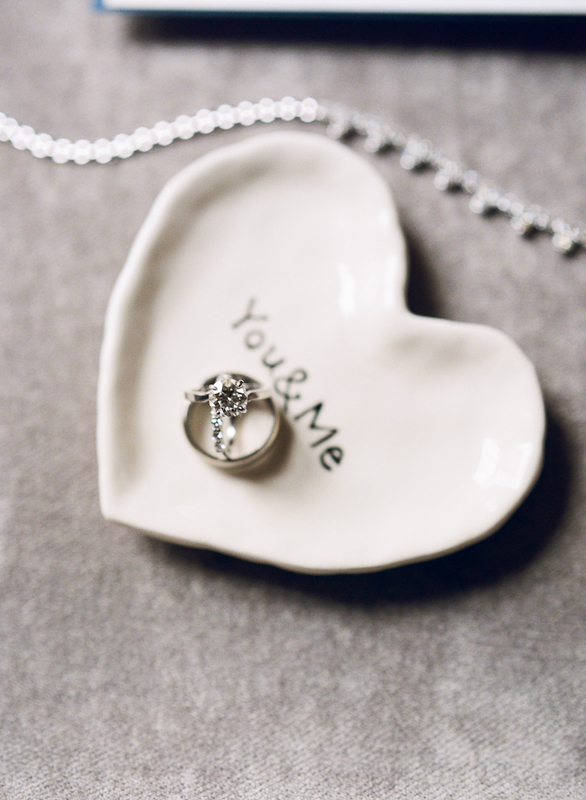 It was such a blessing to be part of your wedding day! Thanks so much for having us!